Prosecco is the leading selling sparkling wine in Italy. In addition, it outsells Champagne in the UK and sales of Prosecco increase every year in the United States. Recently I attended a Prosecco tasting panel hosted by Alan Tardi, the US brand ambassador for Prosecco at A Voce Restaurant. Innocente Nardi, President of the Consorzio Tutela del Vino Conegliano Valdobbiadene Prosecco Superiore made a few opening remarks. The tasting panel consisted of Scott Carney, M.S., Dean of wine studies, International Culinary Center; Oliver Flosse, Wine Director, Marc,U.S.A. ; and Robin Kelly O’Connor CSW, CWE, Italian Wine Merchants. There were six Proseccos at the seminar and they were a true representation of the Valdobbiadene Prosecco Superiore DOCG. 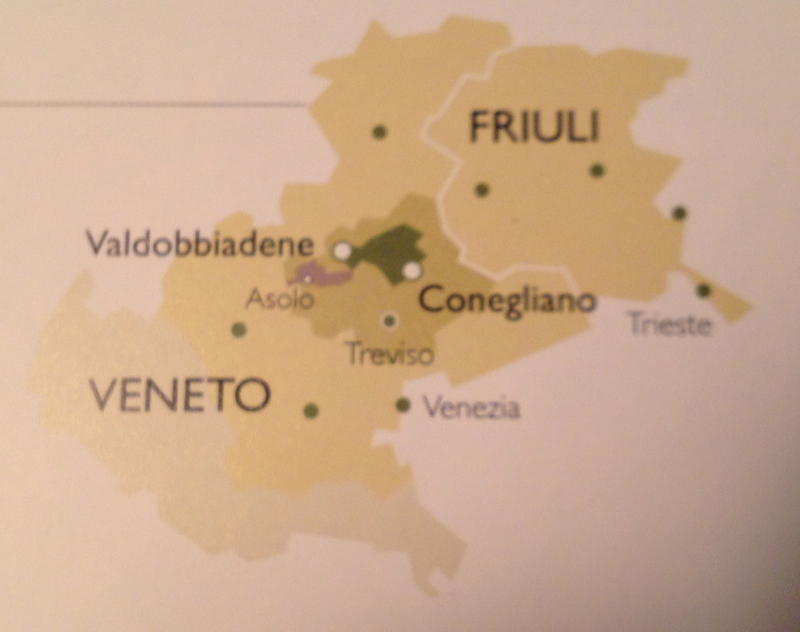 The Conegliano Valdobbiadene Prosecco Superiore zone is located in the region of the Veneto, about 50 kilometers north of Venice, midway between the Dolomite Mountains to the north and the Adriatic Sea to the south. The DOCG zone consists of 15 municipalities with the towns of Conegliano and Valdobbiadene at the eastern and western extremes. It extends over 20,000 hectares of which 6,500 are vineyards at altitudes of 50 to 500 meters. 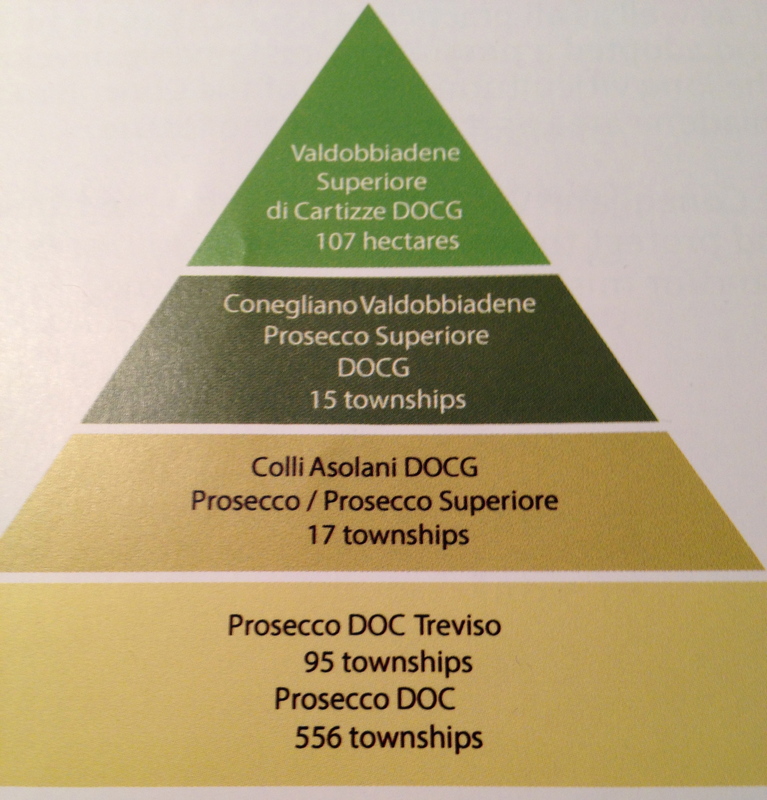 According to the Consorzio Tutela del Vino Conegliano Valdobbiadene DOCG, there is a “Prosecco Pyramid” which looks like this. At the top is Valdobbiadene Superiore di Cartizze DOCG- 107 hectares, Conegliano Valdobbiadene Prosecco Superiore-15 townships, Colli Asoland DOCG. Prosecco/ Prosecco Superiore, 17 townships and Prosecco Treviso 95 townships and Prosecco DOC 556 townships. Conegliano Valdobbiadene Prosecco may be made in 3 different styles: Spumante bubbly), Frizzante, lightly effervescent), or Tranquillo (still). Only the Spumante version is allowed to have the name Superiore. Prosecco DOCG must be made with at least 85% Glera grapes with the addition of Verdiso, Bianchetta, Trevigana, Petera and Gela Lunga. Prosecco Superiore Spumante may also contain up to 15% of Pinot Bianco, Pinot Grigio, Pinot Nero and Chardonnay. When at least a minimum of 85% of the wine comes from a specific vintage, the year may be indicated on the bottle along with the term Millesimato. Most sparking Proseccos are made using the “Italian Method” in an autoclave (pressurized tank). For “metodo classico,” it is also permitted to carry out the second fermentation in the bottle. Mr. Carney explained the Col Fondo method: before the invention of the autoclave, Prosecco was bottled with its own yeasts and placed in the producer’s cellar to rest. During this time a refermentation took place and the remaining sugar turned into twisting bubbles and so Prosecco was produced. After a few months it became fizzy and the refermented yeast was lying at the bottom of the bottle. The name Col Fondo comes from Sur-lie. A few days before opening the bottle it should be placed in a vertical position, so the yeast falls to the bottom of the bottle. According to the producer the wine should be decanted and the remaining yeast poured into a glass, so you can taste the Prosecco’s heart. It is classified as a semi-sparkling wine and marked extra brut. The sugar content is zero. The vineyards are cultivated using the Sylvoz system and the harvest is by hand. There is a soft pressing of the grapes. There is a natural fining in the bottle with its own yeast and there is no filtration. Secondary fermentation is a natural fermentation in the bottle. Mr. Carney pointed out that the wine was cloudy and they had to decant the wine because it had the Fondo (sediment) on the bottom. The wine is well balanced and complex with hints of ripe fruit, bread crust and yeast. 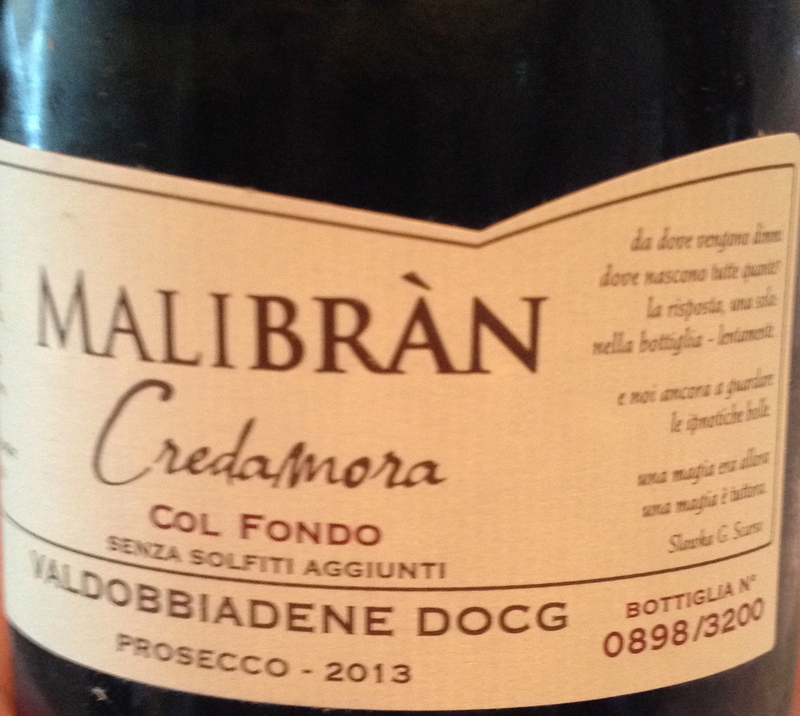 Rive di Farra di Soligo “Col Credas” Valdobbiadene Prosecco Superiore DOCG Brut 2014. Adami Made from 100% Glera from the Credazzo-Farra di Soligo area. The vineyards are at 350 to 400 meters and the soil is clay, dry, nutrient-poor, fairly shallow, bedded in calcareous rock. The exposure is south and southeast. The training system is double-arched cane and there are 2,500 to 3,500 vines per hectare. Harvest takes place from September 20 to October 10. There is a light pressing of the grapes with a bladder press and the must settles by gravity. Fermentation is at a controlled temperature 17-19°C with cultured yeasts. Then maturation is on the fine lees in steel tanks for 3 months. The second fermentation is the Metodo Italiano which takes place in steel pressured tanks and is at 15-17°C. There is cold tartrate stabilization at -4°C. A tight filtration takes place before bottling to remove the spent yeast from the sparkling wine. The sugar is 4g/l. In 2009 a new category called Rive (hillside in local dialect) was added. This designation isfor sparkling wine made entirely from the grapes of one particular village or hamlet, the name of which is listed on the label. Riva is always vintage dated. There are 43 officially recognized Rive. This gives more prominence to the subzones. The wine has floral notes with hints of apple and pear with a dry finish. 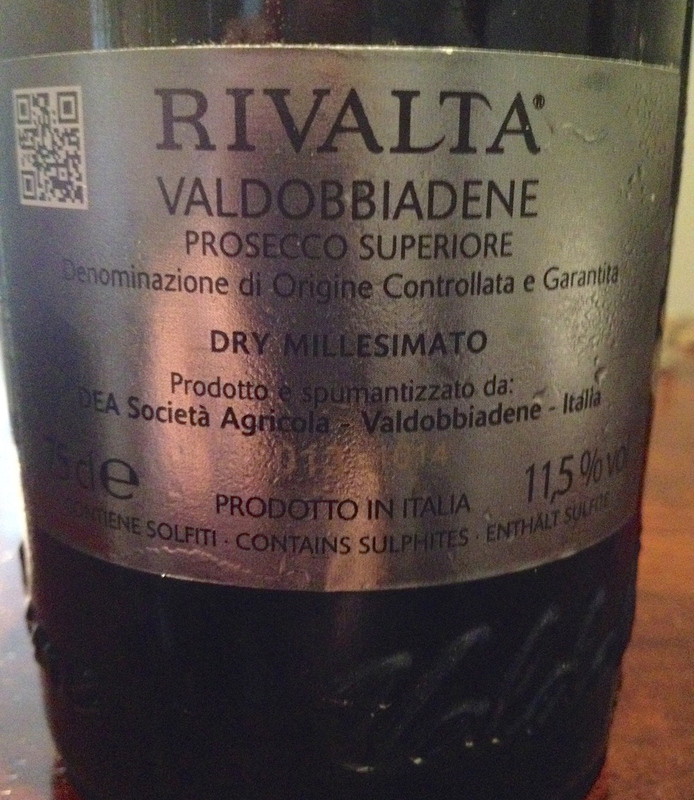 Valdobbiadene Prosecco “lus Naturae” Superiore DOCG Brut 2013. Bortolomiol100 % Gela. They have been using organic wine-growing techniques for many years. Everything is done by hand. Ius Naturae – the Natural law. 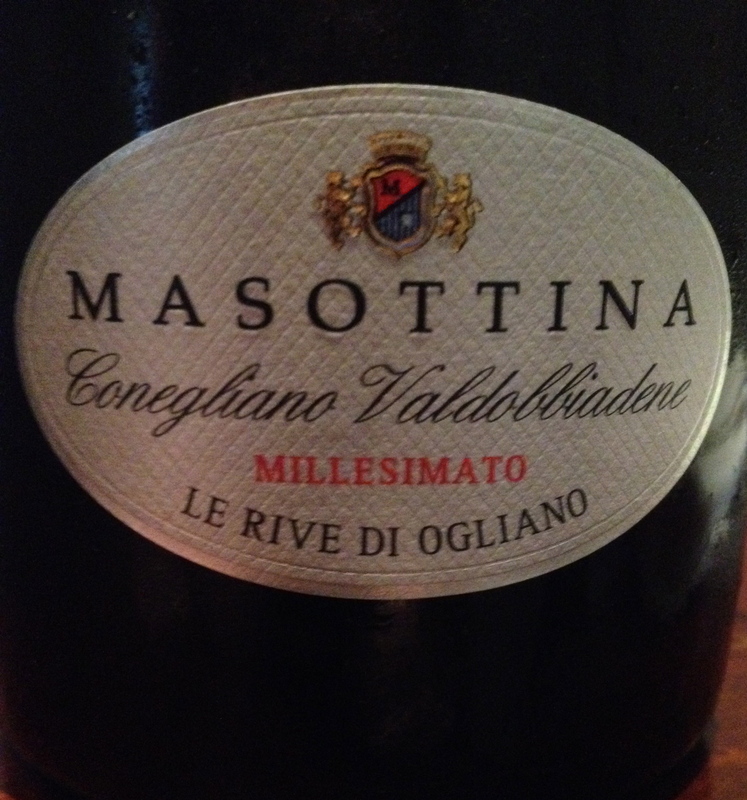 Riva di Ogliano Valdobbiadene Prosecco Superiore DOCG Extra-Dry 2014 Masottina 100% Glera. Area of production Conegliano-Ogliano. Hilly and the soil is of morainic-alluvial origin with glacial deposits, moderately compact with presence of limestone. The vineyard is at 150 meters and the harvest is in late August/early September. Residual sugar 7g/l. Alcoholic fermentation takes place in temperature controlled stainless steel tanks using selected yeasts. Secondary fermentation is in an autoclave at a low temperature. The wine remains in the bottle for one month before release. Mr. Flosse said that this was a very traditional Prosecco. It has hints of pineapple, peach and orange peel with floral notes. 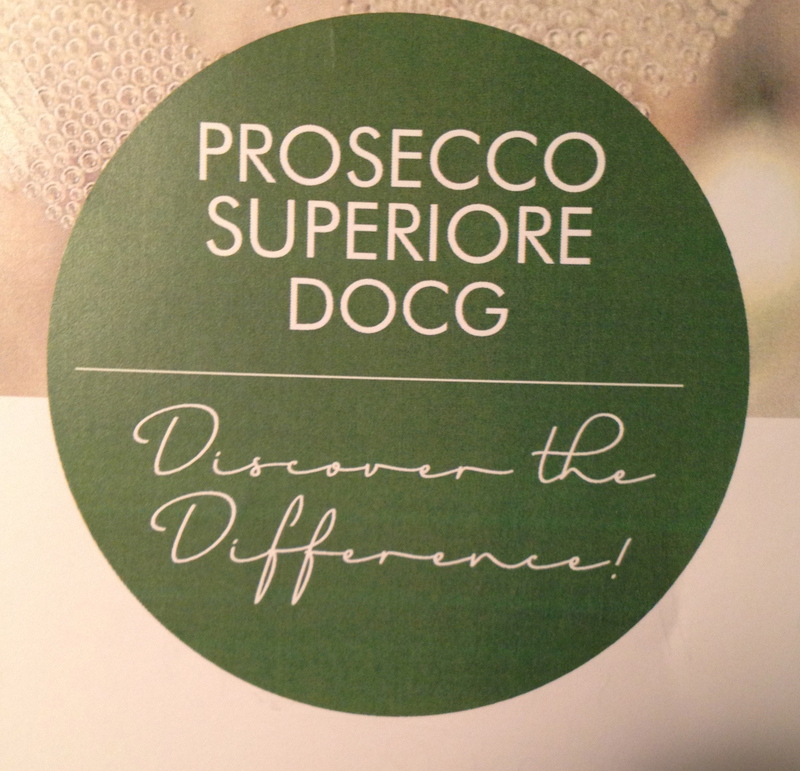 Valdobbiadene Prosecco Superiore ‘Solitario” DOCG ‘Dry” & “Spumante” 2014. Made from 100% Glera. Dea Rivalta The soil is a mix of clay limestone and rock, the high hills are south facing and the harvest tales place at the end of September. The residual sugar is 26g/l. The wine is fruity with hints of pear, white peach and apple. 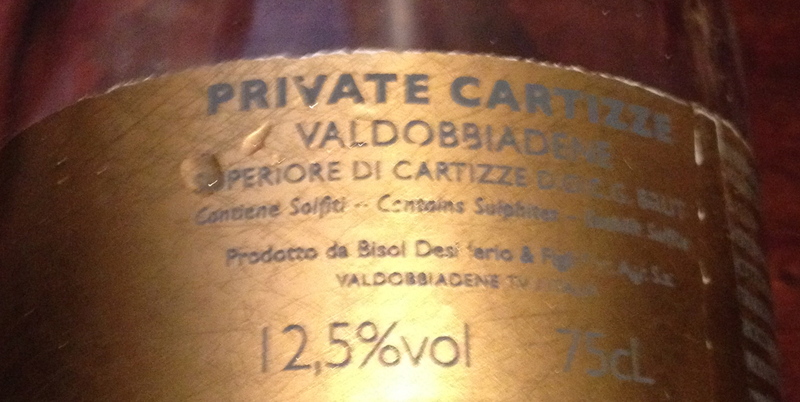 Valdobbiadene Superiore di Cartizze, Private Cartizze DOCG Brut 2012 100% Glera Bisol. The vineyard exposure is south/southeast residual sugar 5.5 g/l. The second fermentation takes place in the bottle with zero dosage. Refining in the bottle for 11 months. Alan Tardi said that Cartizze has always been considered the pinnacle of Conegliano Valdobbiadene production. The vineyards, 107 hectares occupy an entire southwest-facing hillside. Its summit is in the village of Santo Stefano and goes down in a steep patchwork of tiny terraced parcels to the Piave River. There are about 140 proprietors that work their small family plots by hand as they have been doing for generations. This is a full and balanced Prosecco with hints of apple, pear and peaches. Mr. Kelly added that it is the most expensive type of Prosecco and this one sells for about $45. Starting last year, Prosecco also outsells Champagne in USA . Prosecco is the most accessible of all the sparkling whites, and it’s no accident it’s overtaking its French competitor. I’ve got a bottle from Conegliano in the fridge for Mother’s Day, and you should too! Another fantastic write up from Mr. Scicolone.